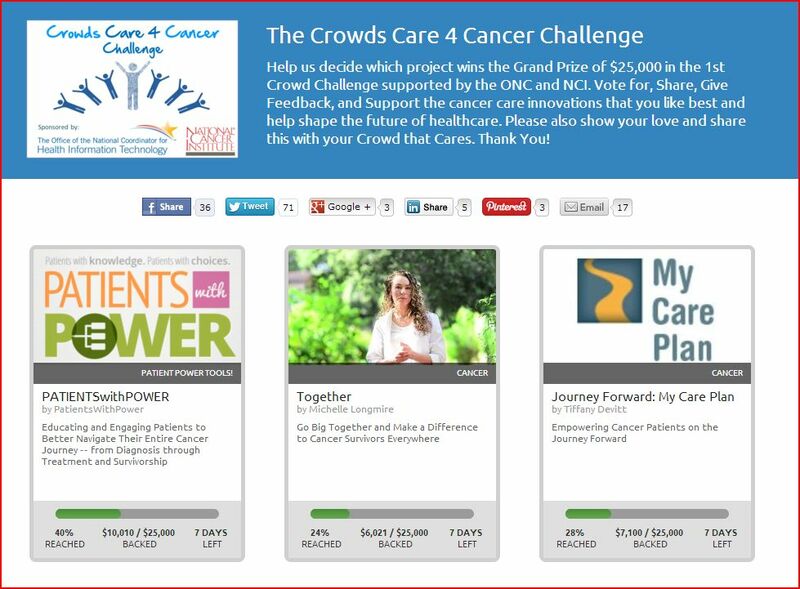 As we publish this post the finalists are in their closing days of crowd source funding. The leader board and individual app pages can be sourced here. This second and final round of competition will award the first place prize to the application that receives the most amount of funding support. For individual pages, see: Patients With Power, Journey Forward: My Care Plan and Together. The response to the request for submissions exceeded the sponsors expectations by a 3x multiple, and according to many of the judges in the process the applicant pool was of very high quality making the judging process somewhat of an unexpected challenge.